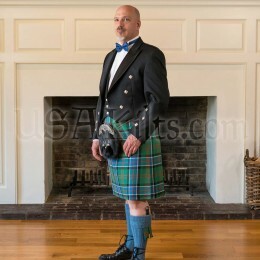 This beautiful Masonic sporran is hand crafted in Scotland and the design is a USA Kilts exclusive! 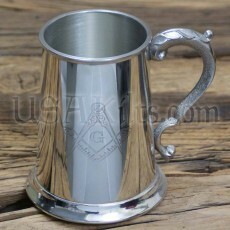 It features a pewter Masonic symbol on blue suede, with matching blue suede tassels. The front panel is black muskrat fur and the Cantle is pierced chrome. The unique thing about this sporran is the internal pockets. It has one pocket for business cards or credit cards and another for loose change. It also features a key fob which snaps to the upper portion of your sporran to keep your keeps within easy reach.